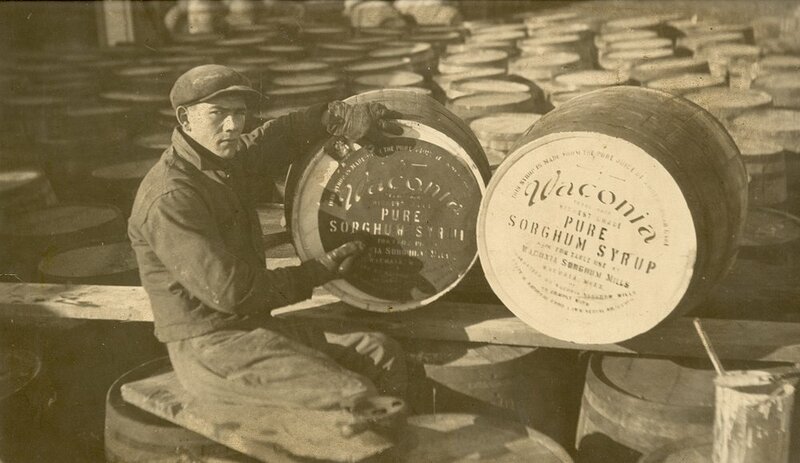 Ed Weinzierl stenciles barrels of Waconia Sorghum. He was just 15. Dakota groups lived in the Waconia area near Lake Waconia for over 10,000 years. They called the lake Meday Wa Ko Ni Ya, which meant “lake of the fountain” or “lake of the spring.” Contemporary Dakota translate it as “out of the water comes life.” Early settlers adopted this name for the lake and the town; over time, it evolved into “Waconia.” Today, visitors can learn about and celebrate the area’s heritage at the Carver County Historical Society. Waconia incorporated as a village in 1880. Development of Coney Island on Lake Waconia in 1884 led to the growth of Waconia as a summer tourist destination. Tourists spent days, weeks, or the whole summer in Waconia. The town and island resort was known as the “Paradise of the Northwest.” In 1886, the new Hutchinson Branch of the Great Northern Railroad opened, running just north of Lake Waconia, bringing even more tourists. Today, Waconia continues its tourism heritage, welcoming tens of thousands of visitors to its downtown, lakes, parks and trails. Those numbers skyrocket during the area’s many annual tourism events like the Carver County Fair, which draws over 100,000 fairgoers to the area. For a period of around 30 years, there were two Carver County Fairs—one in the town of Carver and one in Waconia. The town of Carver started their Fair in 1868 and Waconia started its fair in 1911. Competition between the two towns continued until the late 1930s when the town of Carver acquiesced to Waconia. Today the Carver County Fair hosts 5 days of carnival rides, agriculture and livestock displays, a costume llama event, live music and entertainment, plenty of fair food, and grandstand events featuring tractor and semi pulls, Motokazie and a Demolition Derby.